Hi! We're back with another Me Moment. 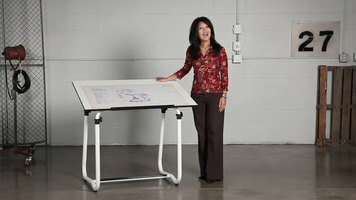 Today we'd like to talk to you about Safco Horizon drawing table. Make space for new ideas with the Horizon drawing table. This drawing table folds down to just 6 5/8" for compact storage, and the base easily adjusts as well, elevating from 25 to 45" high, and the durable 3/4" white, melamine top tilts to a 50 degree angle. It's ideal for drawing, stenciling, and finishing projects. So be sure to make this drawing table the next thing on your horizon! This has been another Me Moment. Please join us again to find out how Safco can help you work hard and play harder. 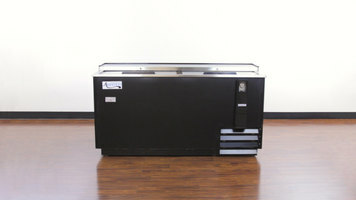 Learn about the best features of the Avantco JBC65 beer bottle cooler and why it's the perfect addition to your bar!